1. New parameters for water characteristics 2. Strict monitoring of public pool facilities (daily if 25 or more separate interests) and requirements for written records 3. Enforcement of specific safety and first aid equipment 4. Requirements that newly constructed public pool enclosures have at least one keyless exit and self-closing latches 5. Imposition of health restrictions for employees or pool users. 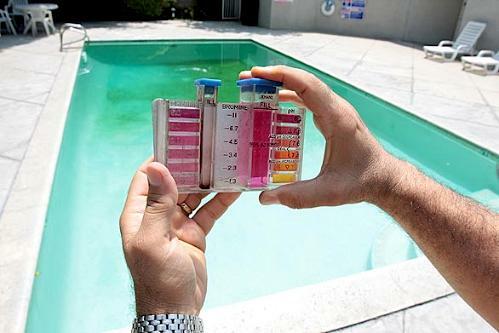 As mentioned above, associations with 25 or more separate interests are now obligated, on a daily basis, to test pool and spa/jacuzzi water and to keep a log of the testing daily. Testing can be done automatically if local enforcing authorities allow for same; otherwise, the manual test results must be maintained onsite as part of the association’s written records for at least a two-year period. Other significant issues deal with the installation and maintenance of safety and first aid equipment, which, at a minimum, should include a rescue pole and a 17-inch minimum diameter life ring with a 3/16-inch diameter throw rope attached. Also be aware that there are specific requirements for at least one pool enclosure which allows for egress, without a key, for emergency purposes. If all gates for egress allow for keyless exit, no special signage is necessary, but if not, then the non-key exit gate must have signage, in four-inch letters which states EMERGENCY EXIT. And finally, health restrictions – last year, it was diarrhea, and this year, pool access is further limited for any person, including pool monitors, if they have infectious conditions such as a cough, cold sore, nasal or ear discharge or wear a bandage. Needless to say – safety first! Make sure you are and remain compliant.